For starters this was by far the easier cooler to transport anywhere. Even though I’m a pretty petite girl it was super easy for me to sling over my shoulder and carry it wherever I went- definitely not bulky which I loved. I also loved the padding on the shoulder strap, even with an extremely full cooler it was comfortable to carry. The material on the outside of the cooler is tough and durable. Between hiking, fly fishing and primitive camping, I threw it down on rocks, concrete, dirt and more. It held up extremely well and any dirt that got on the cooler as a result from our activities was quickly wiped off. After a long day of hiking or fishing our beers were ice-cold and we didn’t have to worry about any of our refrigerated snacks spoiling for the entire long weekend because this cooler kept our food and drinks cold for THREE DAYS. The two pockets on the cooler were extremely appreciated (although I didn’t give them much thought at first). I stored our mess kit plates, spoons and forks in the inside top pocket to keep our kitchen gear with the food. Also, the pocket on the outside easily held an extra trash bag and at the end of the trip we slipped our dirty silverware in that pocket. Once we got home I was able to easily remove the interior of the cooler and hose it out and clean it quickly. But the best part was the fact that the cooler comes with a heavy-duty beer opener attached to it! 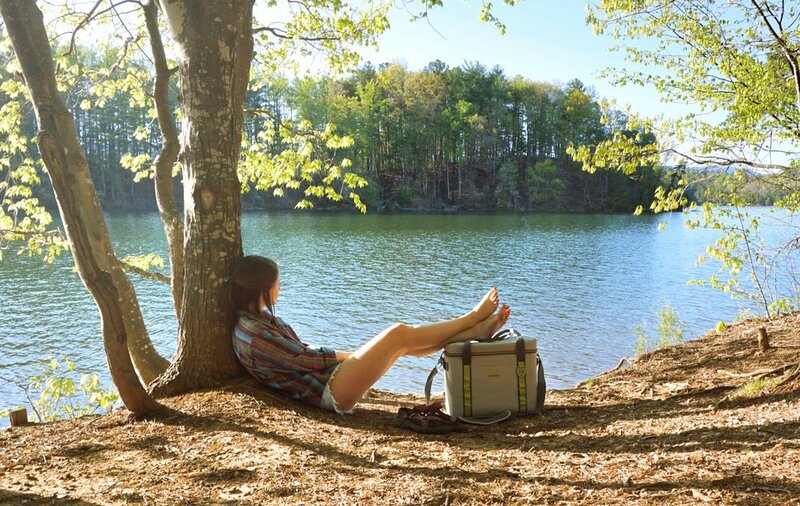 We loved testing this cooler so much and it instantly became a essential piece of camping gear for us; it will definitely be coming with us on all our future trips. I HIGHLY recommend this cooler if you're looking for something easy to throw some beers or food into for a weekend outdoors. *This gear was sent to us free of charge in exchange for our honest opinions and review.